The Book at Harrah’s Philadelphia opens today for an inspectional test run with the Pennsylvania Gaming Control Board (PGCB). With 32 stadium style lounge chairs and bar style high-top tables, punters can place their wagers in luxurious comfort. Harrah’s Atlantic City casino added the sportsbook to add to their impressive gambling repertoire. Harrah’s new sportsbook has simply been named “The Book”. It will undergo a ceremonial two-day test with the Gaming control Board. Afterwards the official opening takes place on the 24th of January 2019. The Book boasts almost 50 big screen TVs in addition to its luxurious lounge stadium style chairs. The Book replaced “The Block “an entertainment centre, which now pales in comparison to The Book. Harrah only got the operating licence for their sportsbook in October 2018. The efficiency and speed they have moved with to launch the book is actually quite impressive. 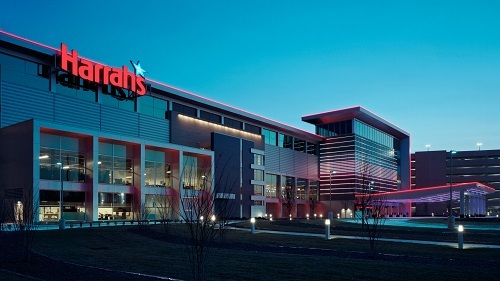 Harrah’s Resort in Atlantic City hopes to increase their share in New Jersey’s sports betting industry. It is expected that sports betting will plough back $2 million in revenue for Pennsylvania. However, the launching of the sportsbook so close to the Superbowl coming in under two weeks was strategic. This will likely skyrocket revenues for Harrah’s Resort. The timing was golden but also bettors will be eager to try a new bookmaker, with opening specials and bettor odds. The Book promises the great atmosphere of watching the game live in luxury. US bettors looking for great bookmakers may want to try out this Philly resort. The odds are available for punters who would like to begin to place their wagers now. However, if the excitement of watching the game unfold live speaks to you then make a date to be at Harrah’s.